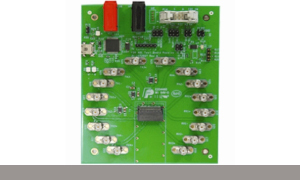 is used for testing QSFP/QSFP+ transceiver ports under board level tests. 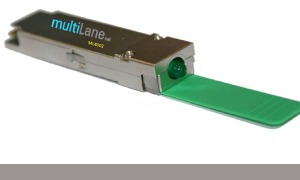 By substituting a full-featured QSFP/ QSFP+ transceiver with the ML4002, its electrical loopback provides a cost effective low loss method for QSFP/QSFP+ port testing. is designed to provide an efficient and easy method of programming and testing 40G QSFP/QSFP+ transceivers, active optical cables, and customizing MultiLane‘s QSFP/QSFP+ electrical loopbacks.